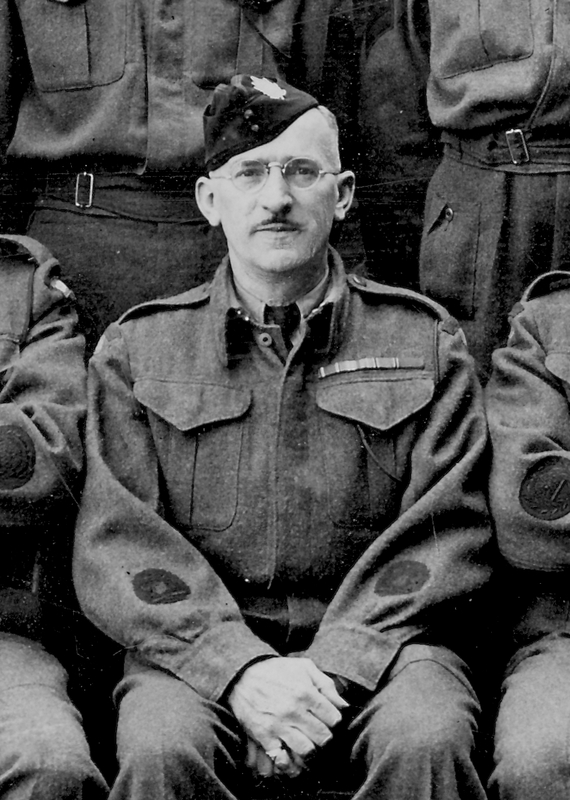 540002 Regimental Sergeant Major (WO1) Gordon Ross Alexander was born in Toronto 25 December 1891 one of five sons of John and Harriet Alexander. He joined the Queen’s Own Rifles in 1913 then in 1915 signed-up for active service during WWI. Initially assigned to the 3rd Division Cycle Company, by the time he landed in England in 1916 he was assigned to the 74th Battalion after which he was assigned to the Headquarters of 4th Division by June of that year. He appears to have spent most of his service at CCC Bramshott Hampshire (possibly Canadian Concentration Camp) as a clerk then transferring to the Engineers for a stint. By 1919 he was promoted acting Sergeant shortly before being sent back to Canada and released from active service. Alexander rejoined his old regiment after WWI in 1921 attaining the rank of Regimental Sergeant Major in 1937. By 1939 Canada was at war again and Alexander was selected to be the RSM of the Queen’s Own Rifles 1st Overseas Battalion. 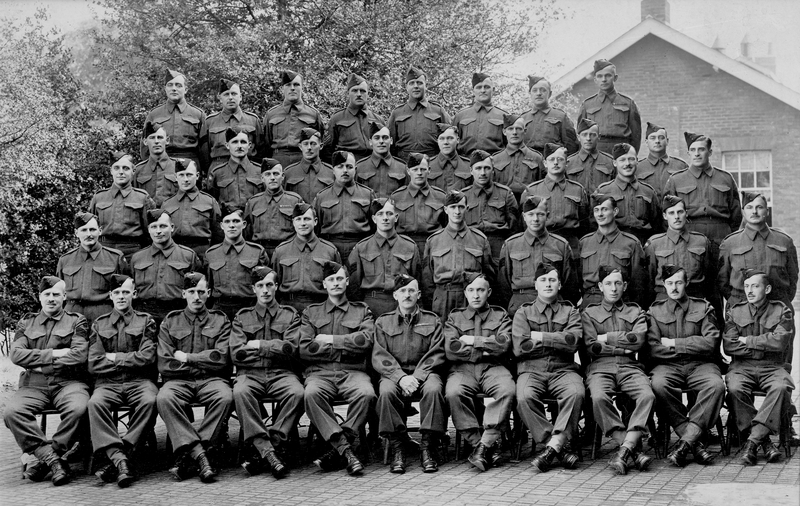 After months in Newfoundland and Nova Scotia the QOR went overseas to England in 1941 as part of the 8th Canadian Infantry Brigade of the 3rd Canadian Division. As RSM, Alexander would have played an instrumental part in the rigorous training the regiment had to undergo in England to prepare them for their eventual part in D-Day in 1944. Unfortunately he would not be with the regiment on D-Day. He succumbed to illness and by September 1943 he passed away and was buried at Brookwood Military Cemetery in Surrey, England. An illness while on active service overseas was fatal to Regimental Sergeant-Major Gordon Ross Alexander, 51 of the Queen’s Own Rifles. His widow, who lives on Riverdale Ave. was advised that her husband died Saturday following two weeks illness. R.S.M. Alexander was born in Toronto and received his education at Wellesley St. School. He was with Alexander and Sons, electrical contractors. A veteran of the last war, he served overseas with the Divisional Cycle Corps, CEF. He remained with the reserves of the Q.O.R. and in 1932 was made R.S.M., a promotion he retained when the unit was mobilized for active service. 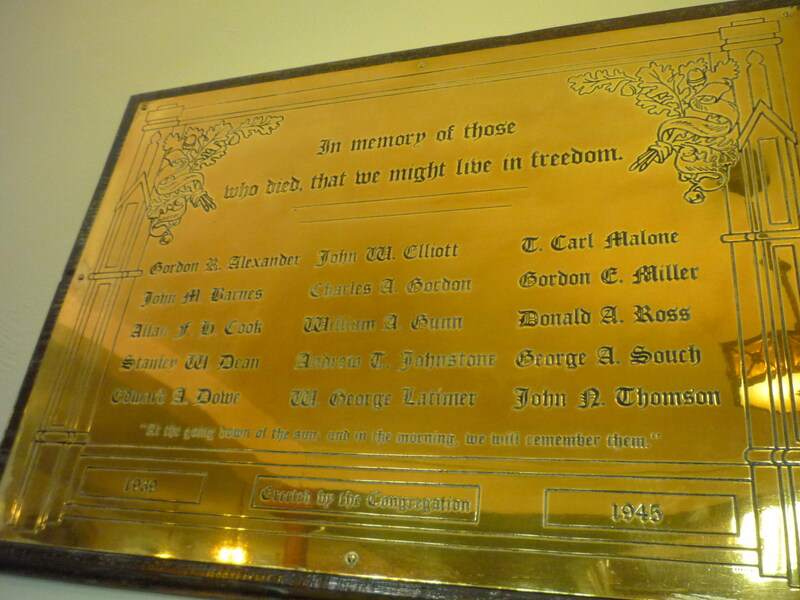 He was a member of St. Paul’s Presbyterian church, Wellesley St. Old Boys’ association and the Toronto Chapter, Ontario Electrical association. Surviving, besides his widow, are two daughters, Mrs. G. Beavis and Doreen; one son, Leading Aircraftman John Alexander, overseas, and four brothers, Henry, John, William and Norman Alexander. 1943, died of illness while on active service in England.